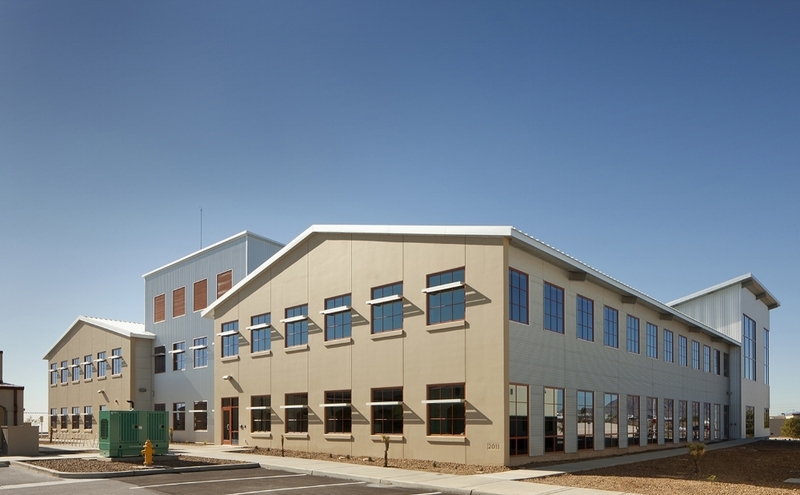 The 49,000 square-foot, two-story Lower Colorado Regional Office Green Building draws on precedents from the historic buildings on the Bureau of Reclamation’s Date Street Campus in Boulder City, Nevada. The design merges characteristics of the two different building type precedents, a duality expressed in the varying window rhythm and by abrupt changes in the building skin, to create a modern building that is responsive to environmental influences, respectful of the historic neighborhoods around it, and that provides a comfortable, healthy work environment for multiple departments from the Bureau of Reclamation. This LEED Platinum certified project features a number of sustainable systems. Condensate recovery from cooling tower is used to flush toilets and recovered rainwater is used for irrigation. Ninety percent of domestic hot water is heated from solar heaters. Forty percent of the building energy is generated through on-site photovoltaic panels. 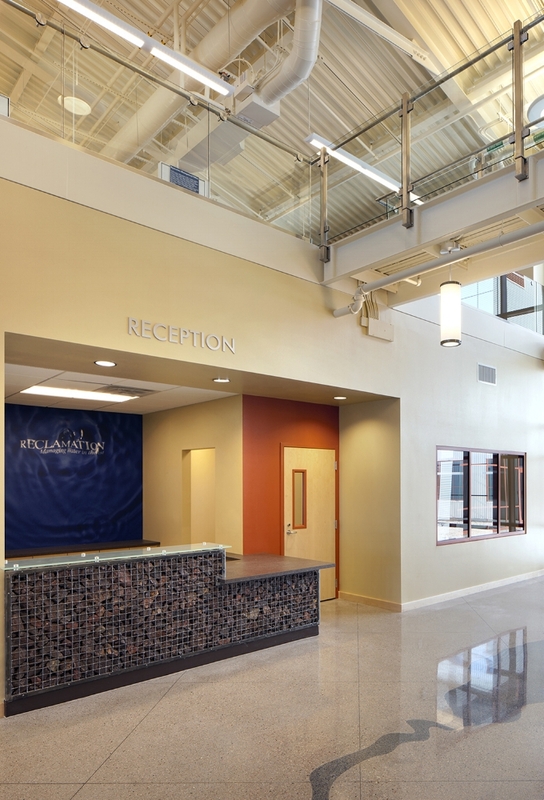 Over 80 percent energy efficiency is achieved through daylight strategies and efficient systems and equipment. 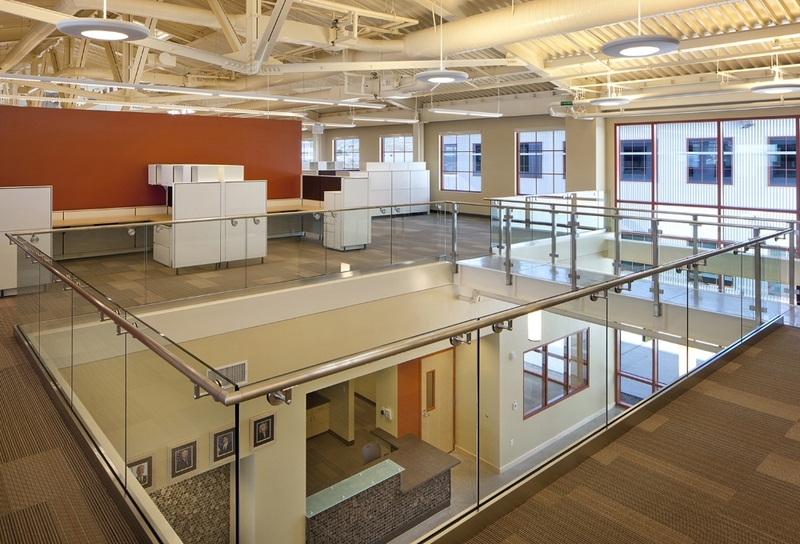 Skylights and daylight controls contribute towards over 80 percent of daylight in regularly occupied spaces. Ninety percent of these spaces have views to the exterior.